Having your work go viral is an amazingly great thing that can help your business and your brand name. But if there isn’t anything linked to the image that gets shared around, people might not know that you’re the author. In order to make sure your name and work stay connected, watermarking is a great option. In a recent post, I already showed How to Create a Custom Signature Style Logo in Photoshop. Sucha a logo could be a great watermark graphic for your photography. 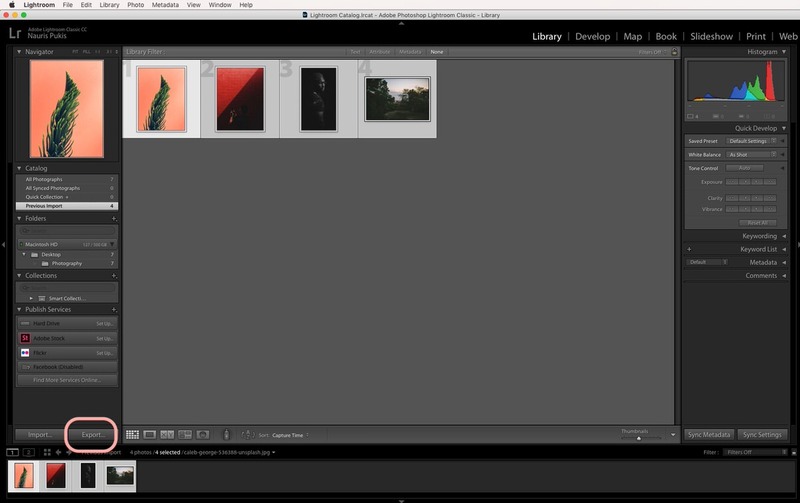 But in this write-up, I want to show you how to add a custom logo graphic using Lightroom. As an example, I will be using Lightroom Classic CC but this will work for Lightroom CC too, so keep on reading. We will divide the process of adding a watermark in Lightroom into two parts. 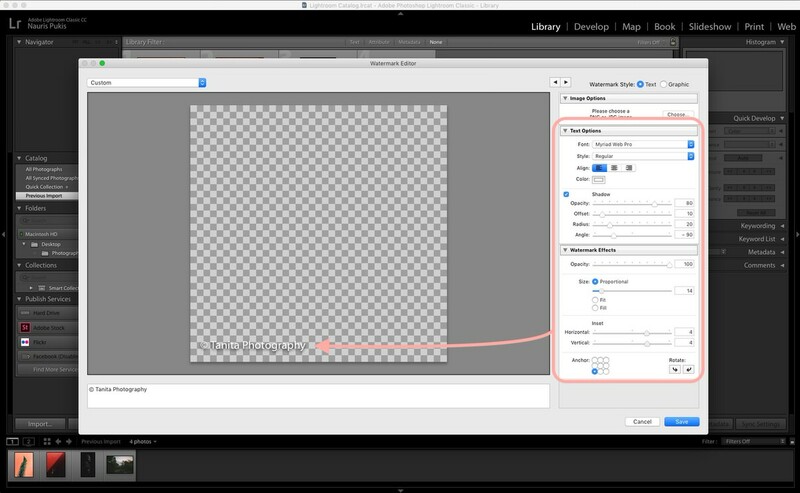 First, we’re going to add your custom watermark graphic to the Lightroom program and then we’re going to apply the watermark graphic to our images when exporting. By default, the watermark editor is set to Text style watermark so if you don’t have a logo of your own you can simply type your name in the little text box. 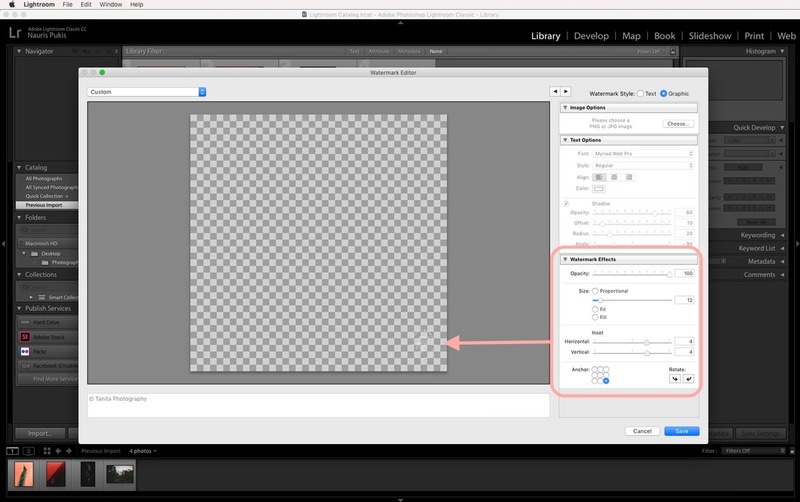 Use the options on the right side of the dialog box to customize your watermark. Under “Watermark Effects” use the “Anchor” area to choose the placement of the watermark and slide the “Inset sliders” to make sure your text is not glued to the edge of your images. You can only change the color and font of your text watermark under the “Text Options”. 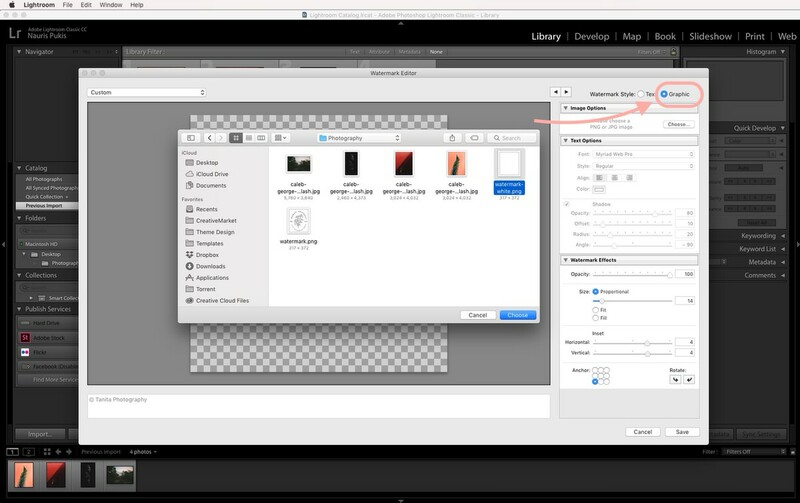 To add a custom watermark graphic, you need to check the “Graphic” watermark style in the top right corner of the dialog box. If you don’t have a watermark of your own but want one, you can either create your own signature style logo graphic or download and use any of my 100 free photography logo templates as your own logo/watermark. A new pop-up will appear asking you to choose your watermark graphic. Make sure that you choose a graphic with a transparent background (.png file). Since my images are mostly dark or colorful, I chose a white logo graphic. Position your watermark using the options on the right side of the dialog box and when done, click the Save button. After clicking the Save button, you will be asked to give a name to this watermark. 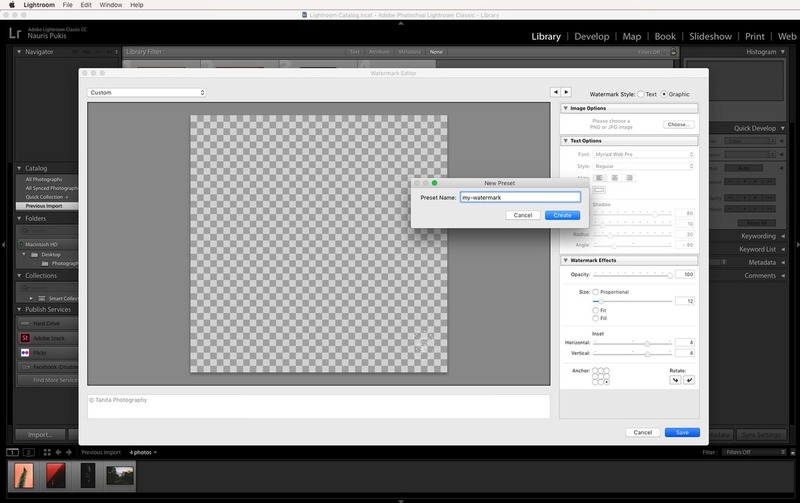 This will create a preset that you’ll be able to use whenever you need to add a watermark to your images. You can even create multiple watermark presets (white watermark, dark watermark, larger, small …) so that you can have them handy whenever you need them. 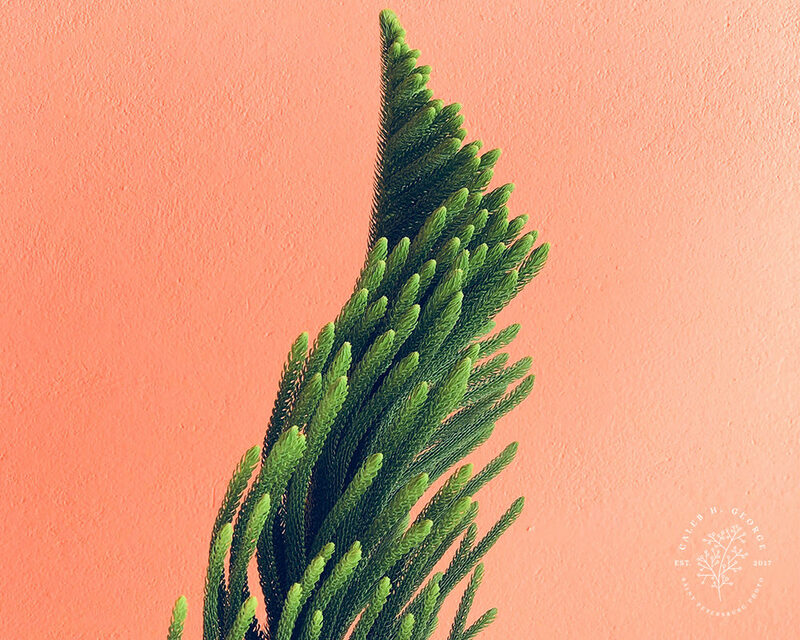 Now that we have our watermark preset make, adding it to an image (or multiple images) is a breeze! 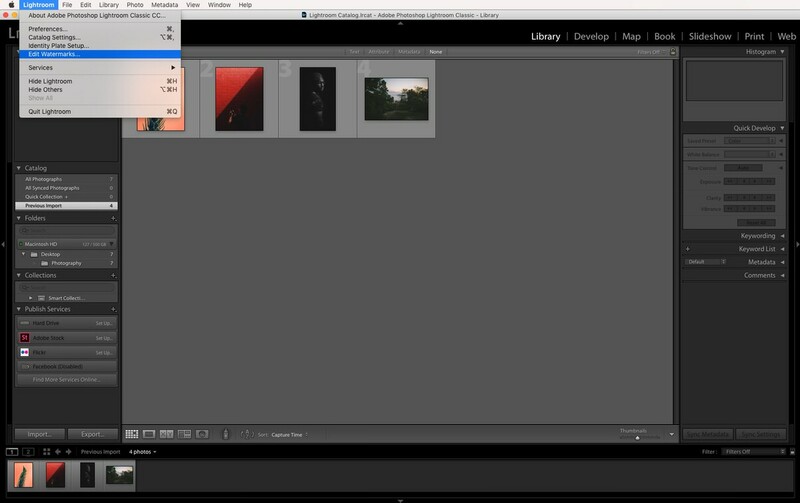 Select your image (or multiple images) in Lightroom and click the Export button. Scroll down to “Watermarking” and click on the dropdown menu. You should see your custom watermark preset there. If you want to see how it will look on the image, instead of choosing your pre-made preset, choose the “Edit Watermarks…” option. 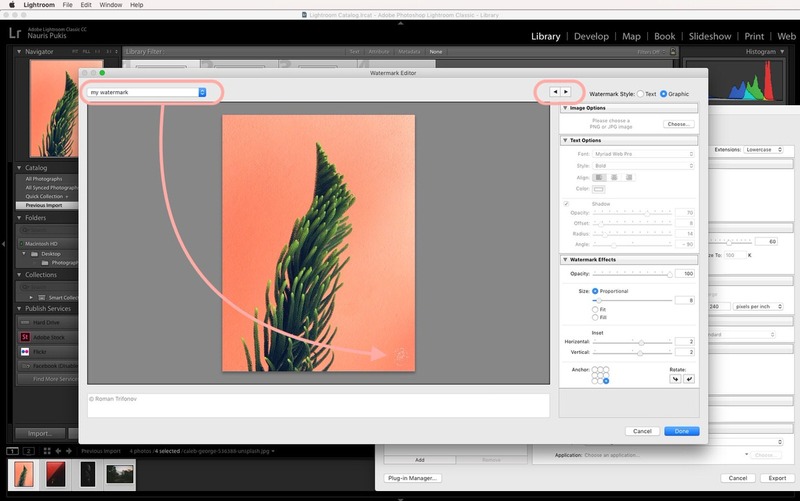 A live, editable preview will appear and if you have multiple images selected, you can use the arrow buttons to view each image separately. When you’re happy with the final result, click the “Done” button and finish your exporting process as usual.